Free from silicone for a natural hair feel. 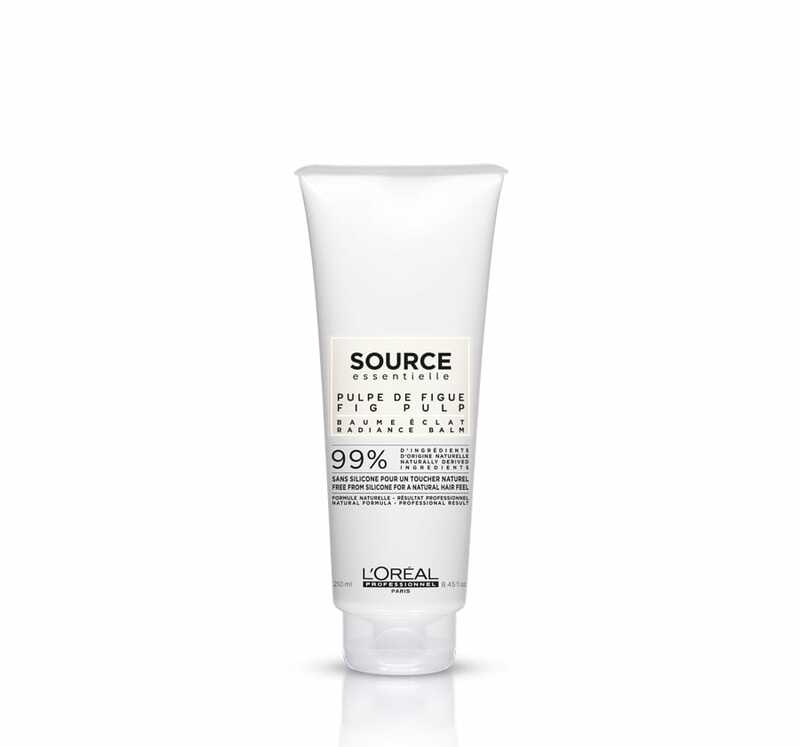 Embrace naturality with this delicate shampoo for sensitive scalps. Gently soothes a sensitive scalp whilst removing impurities and oils to leave hair feeling soft and supple. 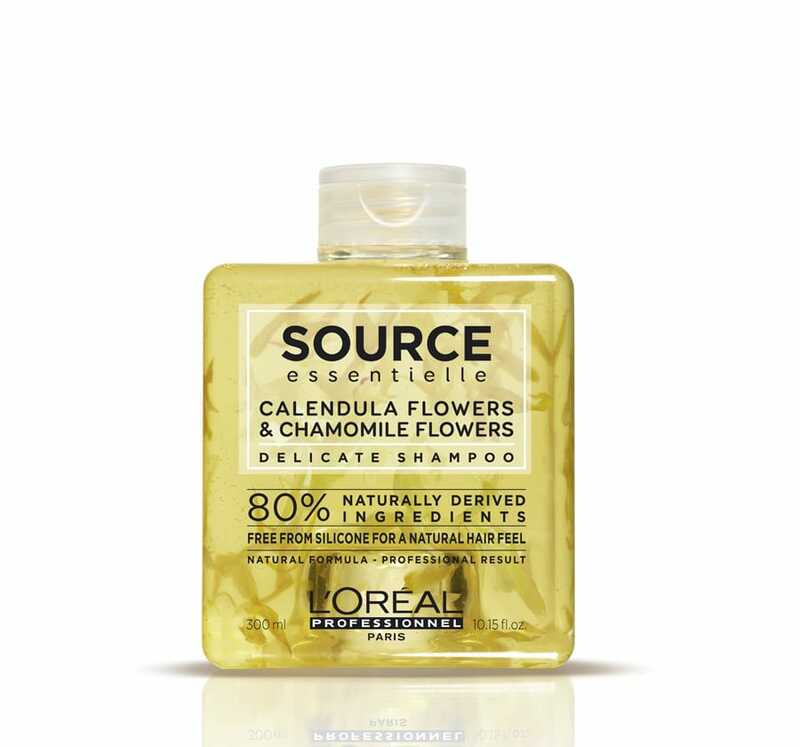 With calendula flowers and chamomile flowers, Source Essentielle Delicate Shampoo is the ideal solution for those with a flaky or sensitive scalp. Apply evenly to wet hair. Lather. Rinse thoroughly. In case of contact with eyes, rinse them immediately. The same result as a classic haircare product with the natural hair feel. All formulas, free from silicone, are clearly explained on the neck of the packs. Eco-designed shampoo square-shapped for a transport optimisation are refillable in salon up to 3 times. The packaging is intentionally square-shaped, to hold a maximum amount of product in a minimum amount of plastic. This shape also means that the products stack together perfectly, so that shampoos are better palletised and transportation space is optimised. Source Essentielle allows consumers to come and refill their shampoo bottles directly at the salon. The equivalent of the weight of a bottle is saved. Daily shampoo gently cleanses and purifies the scalp to eliminate impurities and excess oil. 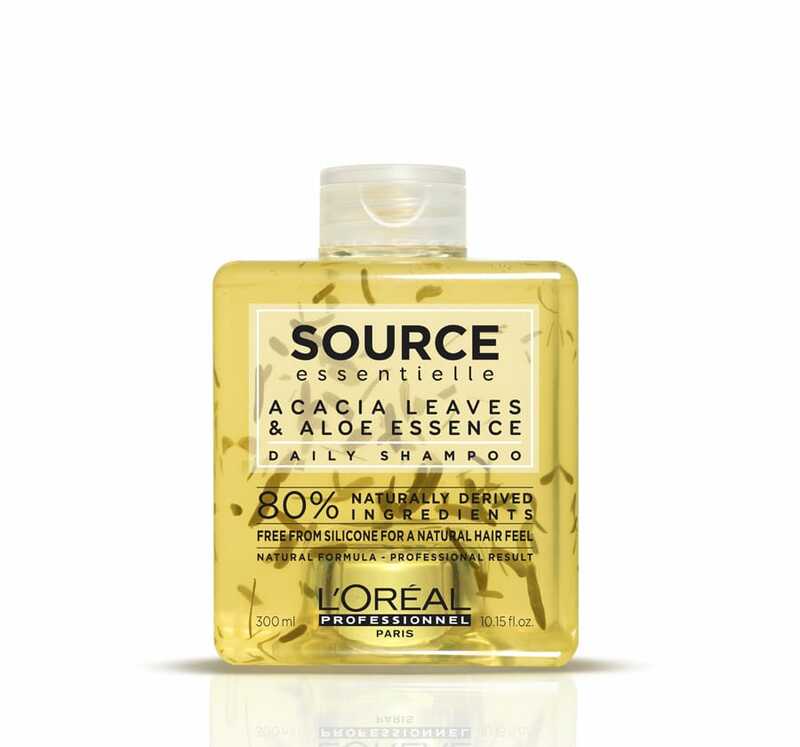 With acacia leaves and aloe essence and made with 80% natural origin ingredients, it is a perfect everyday shampoo to improve hair body, suppleness shine and vitality, without weighing hair down. Apply evenly to wet hair. Lather. Rinse thoroughly. In case of contact with eyes, rinse them immediately. Nourishing shampoo, suitable for dry or frizzy hair, gently cleanses and purifies the scalp to eliminate impurities and excess oil. 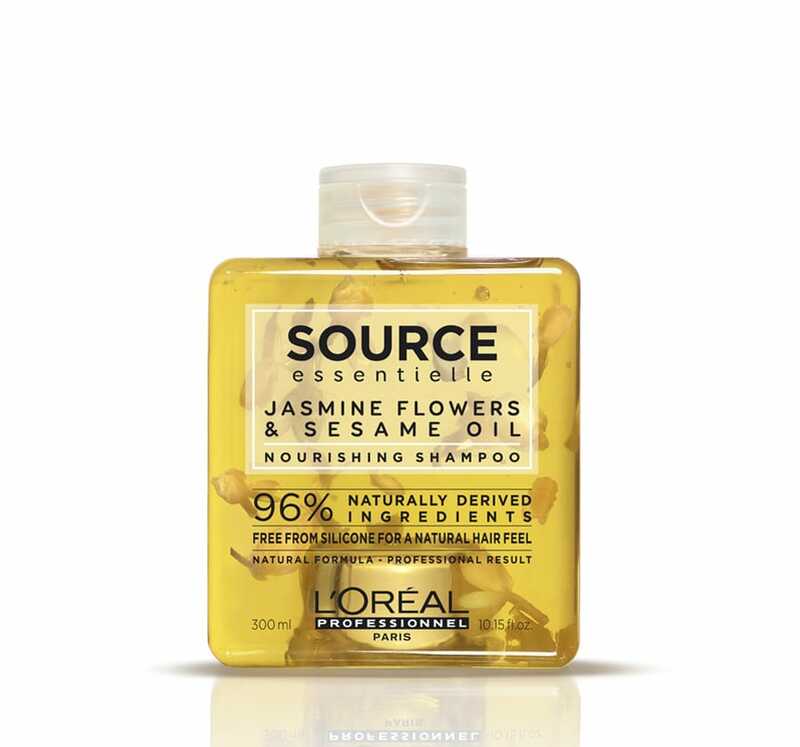 Made with jasmine flowers and sesame oil the Nourishing Shampoo is a daily hair treatment to nourish dry hair and provide control, nutrition and shine to the hair fiber. Apply evenly to wet hair. Lather. Rinse thoroughly. In case of contact with eyes, rinse them immediately. Source Essentielle Daily Detangling Hair Cream will help regain manageability of tangled hair to minimise damage, split ends and breakage. This lightweight hair cream will help to detangle fine hair prone to knots, enhance shine and leave hair supple and full of vitality. Apply evenly to shampooed, towel-dried hair. Leave on for 5 minutes. Rinse thoroughly. In case of contact with eyes, rinse them immediately. Essentielle Nourishing Hair Balm leaves dry hair feeling nourished, soft and supple. 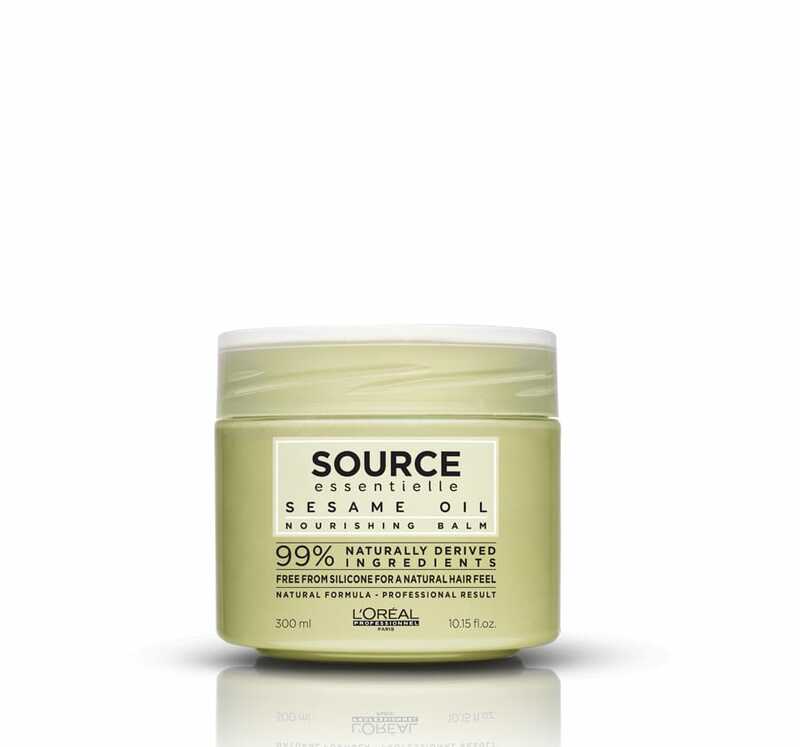 Made with sesame oil, split ends will be smoothed and hair will feel silkier, shinier and nourished from root to tip. 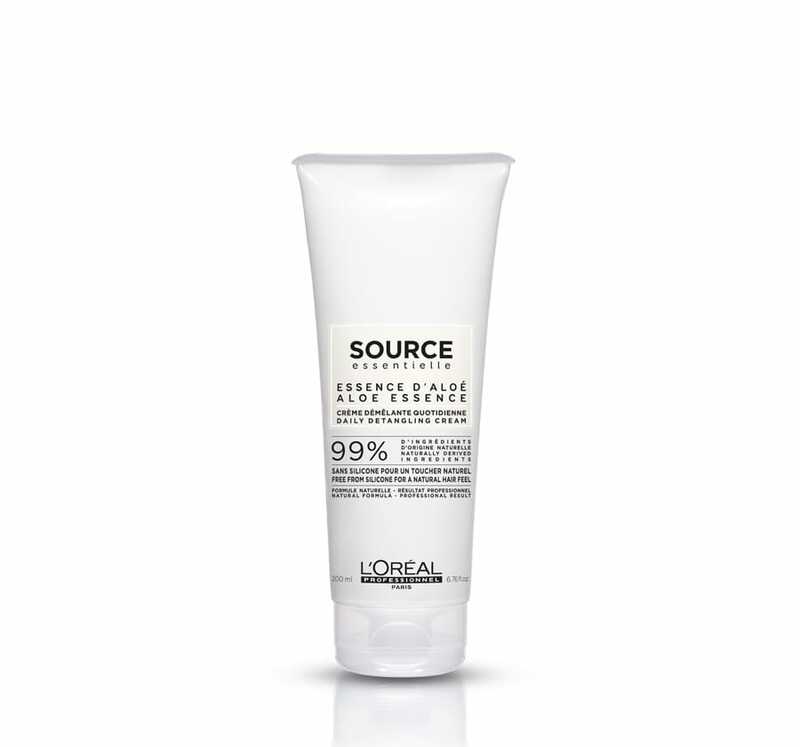 A daily hair treatment to nourish dry hair to provide control, nutrition and shine. Apply evenly to shampooed, towel-dried hair. Leave on for 5 minutes. Rinse thoroughly. In case of contact with eyes, rinse them immediately.